Some of the most attractive parts of starting a lawn care business are the low start-up costs, great physical benefits and the lucrative nature of the business. Starting a lawn care business may seem easy enough; all you need is a lawn mower, a few trimming scissors, and a watering can, right? Wrong! Lawn care business is surprisingly a competitive one. It attracts all kinds of people looking to earn some money; from immigrants to school kids to certified professionals, the lawn mowing business is diversely well populated. Now, how can you stand out from this competition, how can you create a service that is so unique and attractive that potential clients do not even give the others a second thought? A well-constructed start-up plan; that is what you need to build a successful lawn care business. Your start-up plan must be solid, covering all possible areas including but not limited to- location, marketing plan, name, and costs. Starting a lawn care business is not just toting a leaf blower and a bag of fertilizer around the neighborhood. You need to be specific in the area of lawn care you are offering services on. What you need to do first is determine what you plan on accomplishing with your clients. Are you going to be high-cost or more average in affordability? Your location where you plan to start up your lawn care business is critical to the success of your business. Staying within close proximity of your target clientele will cut down on a lot of costs including transportation and extra labor. Your business location will also play into how you will be charging your clients. A higher class neighborhood generally will attract heftier fees than a middle class or lower class neighborhood. Wherever you plan on starting your business, first do some research on the lawn care services that already exist. Get to know their price ranges, the kinds of services they offer and their clientele relations. Understanding how the lawn care market stands will assist you in knowing the most popular services being offered and which are of lawn care is lacking in service providers. Determine how much time will be allocated to your lawn care business. If your business will be full-time or part-time is something you need to settle before kicking off any business planning. Your estimated time frame is also a determinant of how much you will be making from your business. Your business name must be a reflection of the services you are offering. If you plan on making your business an area specific one, your name should properly communicate to your target market that the services you offer are limited to these. First, determine how much money exactly you have to kick off your business. Whatever equipment you will purchase must be within this budget. However, just because some equipment is cheaper than the others does not mean that they are better choices. If your budget can not cover the entire cost of purchasing equipment, you may need to look towards leasing equipment- at least in the beginning phase of your business. Starting a lawn care business will involve the use of the required equipment for the specific area of work you are doing. This may be your biggest expenditure at the beginning of your business; once you decide the services you will be offering, you will need to purchase the appropriate equipment. Starting a service that focuses on garden beautification may require some trimmers, watering cans and fertilizer. If you want your business to be one that covers all areas of lawn care, your expenditure will be bigger here. You will then need to purchase every single equipment and accessory that goes into lawn care, from fertilizers to leaf blowers. Choose your equipment sensibly; base your choices according to your research and specialization. Depending on the location your business is based in, there might be specific licenses you will need to acquire before you can legally run a lawn care business. Make visits to your local government offices, and learn of the necessary requirements. Purchase some insurance too, if you or your state requires it, and a liability coverage as well. Whatever insurance plan you decide on, keep your budget in mind and consult the services of a reputable insurance agent. Now you have gotten all the prior steps out of the way and you are certain your business can float in the market, it is time to advertise yourself as a reputable lawn care expert. Begin with little gestures if your budget is low- a small newspaper ad, word of mouth advertisements or posters around your local neighborhood. If you are looking to get even more attention, entice your target market with mouth watering offers such as low costs, referral bonuses and a time/number-specific discount. Social media marketing including email marketing and Facebook posts. This step is not necessarily a requirement for starting up a lawn care business. Hiring extra labor is going to be determined by the span and demand of your business. If you are a smaller neighborhood lawn care business, extra hands may not be required as your jobs will be easily handled by you alone. However, if your business grows into a large scale one spanning across cities, you will definitely need to employ the services of workers. Depending on your business, you may not just be hiring manual laborers; your business could also need the services of an account manager and a legal consultant. Be sure to perform a thorough check on your employees as they will be ambassadors of your brand wherever they go to work. 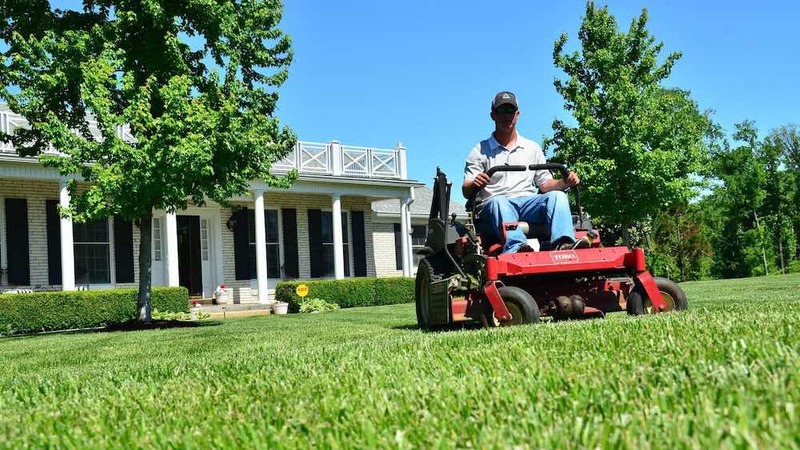 There is ample opportunity with starting a lawn care business and with these tips, we hope you find it easier to begin and grow yours.